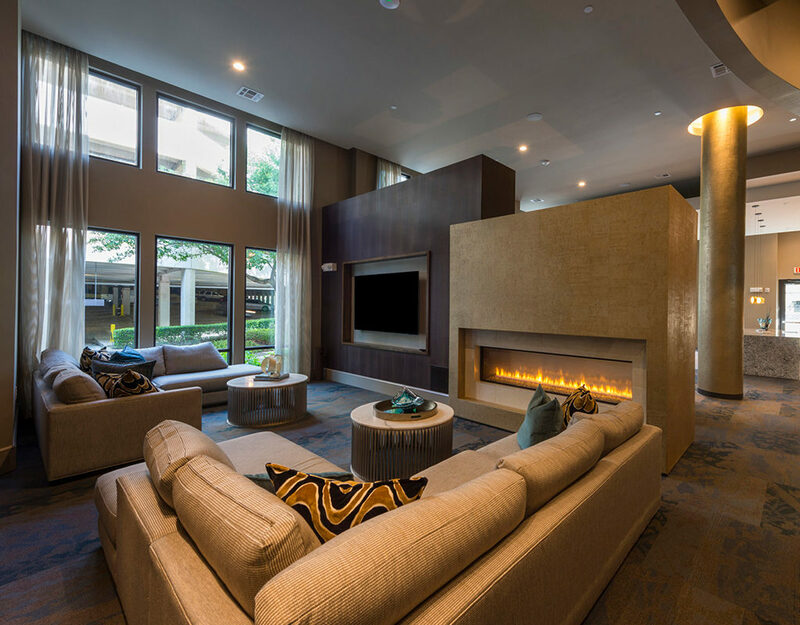 An Uptown community that exceeds your elevated standards by making high-end finishes, custom touches, and exclusive amenities standard–where you can live, work, dine, shop, and play in one of the most sought-after locations in Houston. 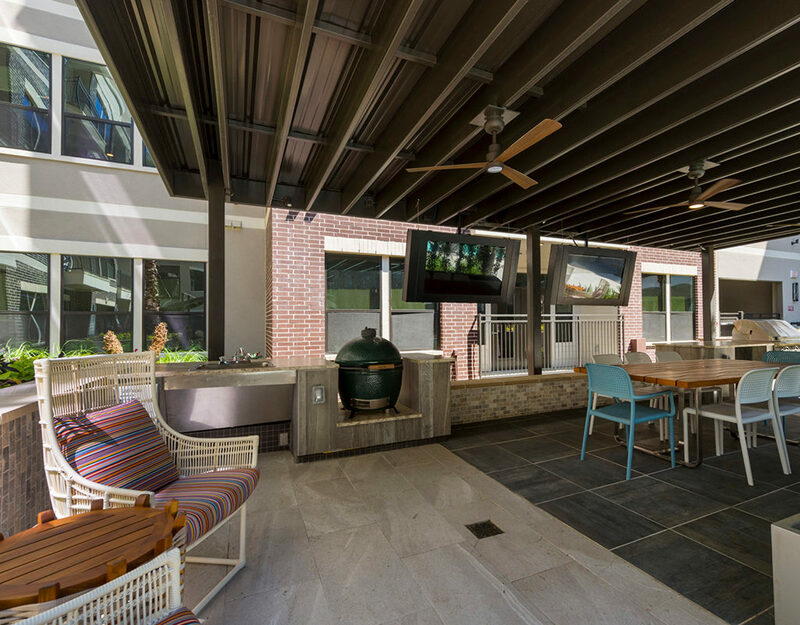 Hang at the two luxury pools with cabanas, outdoor kitchens and gas grills. Keep moving in the fitness center and yoga/ spinning studio. Catch a flick with friends in the private screening room. 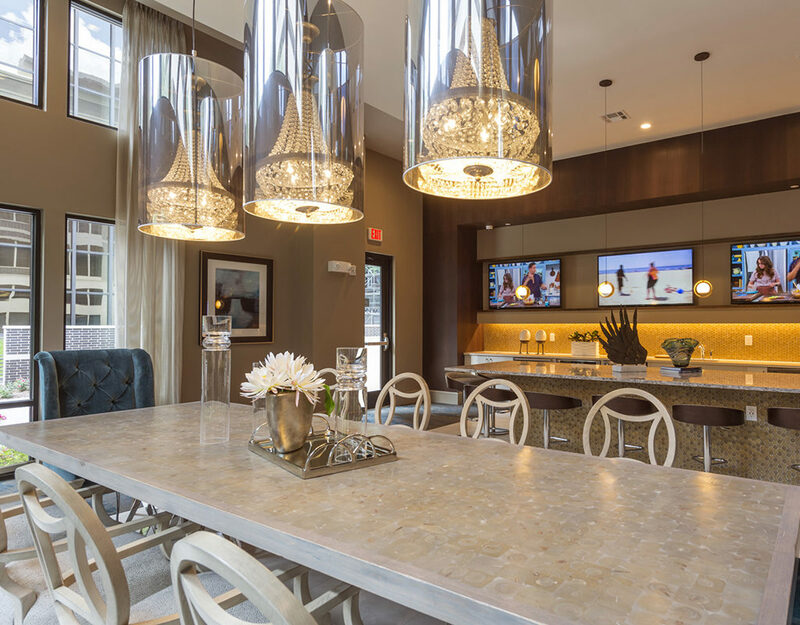 Kitchens with custom cabinets, Nest thermostats, and private patios and balconies.